Now. Let’s be honest. Airports can be stressful places, and those who love being in them are few and far between. I’m not saying they don’t exist, I’m just saying I have never met them. Any of them. Ever. I am a recent convert to airport lounges, especially when travelling long haul. I have purchased a Priority Pass for $99 USD which gives me discounted entry to over 1,000 lounges in airports all over the world, and it’s amazing. Once the preserve of first class and business passengers only, airport lounges have diversified hugely from the airline customer club lounge model in recent years. For those who don’t know (and I didn’t), there are a significant number of lounges open to any class of passenger flying with any airline (for a fee, of course). They won’t compare with the airline run lounges that are open to their first and business class passengers only, but they are still a pretty nice place to spend your time in. After you’ve paid your entry, you will have access to a range of things. At a bare minimum you’ll get a quiet comfortable seating area with wifi, places to charge your phone, and free tea/coffee/soft drinks. Most lounges offer more than that, including free food, alcoholic drinks, a spa, showers, and even private areas to get some sleep (although this is usually extra). Entry fees start at about $50 AUD and range a fair amount, but if you have a Priority Pass you pay $27 USD per entry. (If you fly very frequently there is a Priority Pass which costs $249 USD a year but includes 10 lounge entries at no extra cost). You may also have received free passes or a Lounge Club membership as a perk with a credit card, so it’s always worth checking. If you would be eating and drinking at the airport anyway then it’s usually quite cost effective, and for me the guaranteed comfy seat and quiet space away from the chaos of the airport is absolutely worth the money. It’s also a perfect option if you need to get some work done. Firstly, if you don’t know, the airport is huge, so allow plenty of time to get between terminals and along to gates. Almost everything you can think of is for sale in here, and you can even get trips out to the desert if the gap between your flights is long enough. There are range of services are available including free showers (bring your own towel), beauty salons, and comfortable long recliner chairs dotted around throughout. I was travelling through Dubai after five days in Jordan which had involved lots of walking through Petra and climbing in Wadi Rum, and my legs were absolutely killing me. With the prospect of a 14 hour flight still ahead, I decided to take advantage of the XpresSpa and had a foot and calf massage – it wasn’t cheap but it was worth it! You can find them at Gate B17, and a larger one at Gate B21. I had a seven hour layover so I looked at the lounge options, and ended up going for one I hadn’t heard of before: I ended up being really impressed by the Cadiz Lounge and Tapas Bar in Terminal 3. Unlike other purpose built lounges I have visited, this one is a restaurant and bar with an area for lounge users roped off. The food was great, the alcoholic drink selection excellent (although I confess I didn’t try any of these as I was there at 5am), and the staff were absolutely outstanding. Unlike other lounges which discourage you from lying down to sleep (usually so they can sell you a few hours in a private room), here when the staff saw me nodding off they kindly brought me a blanket. The sofas were comfortable and I got a good couple of hours before using the shower facilities, getting some delicious breakfast, and heading off for my next flight. The lounge is located upstairs near Gate B26 – look out for the signs near the lift. I didn’t see what the standard entry price was, but I used my Priority Pass and paid $27USD. Both the domestic and international terminals in Brisbane Airport are clean, spacious, and easy to get around. There is a free bus that runs every ten minutes between the domestic and international parts of the airport. There are some good souvenir shops if you need to take Ozzie gifts with you, as well as plenty of duty free alcohol and perfume. If you are planning to spend time in the city itself, check out the Brisbane page for more information. I’ve never been in the domestic area long enough to justify a lounge visit, but I have used the Plaza Premium Lounge in international departures. They had a range of seating, from private work desks to bean bags, free wifi, flight information, and a spa. I was there in the morning and they had a good breakfast range: bread and croissants; muffins; cereals; yoghurt and muesli; porridge; fresh fruit; scrambled eggs; hashed browns; baked beans; sausages; bacon; freshly made barista coffee; and fruit juices. I didn’t want any at that time in the morning anyway but worth noting that alcoholic drinks aren’t included in the entry fee. The customer service was great, and it wasn’t far from the gates when it was time to leave. The standard cost is $60 AUD for up to two hours, and $70 AUD for up to five. You can also use a Priority Pass. Living in Australia and having family and friends in the UK means I spend plenty of time at this airport! It’s the layover of choice for a number of companies offering the long journey, including Singapore Airlines (obviously) and Qantas. There’s lots of shops and plenty of places to relax, and it has to be one of the cleanest airports in the world. When you get off the plane and are heading to wherever you are going to be spending your time, make sure you keep an eye out for the free leg and foot massage machines – after a 14 hour flight from London it felt pretty close to heaven. Before I get to the lounge information, you should know that Singapore Airport offers two free sight seeing tours for those who have a long gap (at least 5.5 hours) between flights. I haven’t had a chance to do them yet, but next time I book I plan to get a cheaper flight with a longer layover to take advantage of this – I think it is such a good idea! The Heritage Tour runs during the day, and you must be able to get one of the two registration booths (one is in Terminal 2 and the other is in Terminal 3) by 3pm. The Heritage Tour brings you through the architectural brilliance of Singapore’s past and present as we visit colonial and cultural districts – Chinatown, Little India, Kampong Glam – with a short stopover at the Merlion Park where you get a photo opportunity with the symbol of Singapore. The second stopover is at Kampong Glam, one of Singapore’s colourful ethnic precincts. The City Sights Tour runs once at 6pm and once at 7.30pm, but you must be able to get to the registration booths before 5pm and 6.30pm respectively. The City Sights Tour showcases modern Singapore with a short stopover at Merlion Park where you can get a photo with a piece of history of the Lion City, the Merlion, against the magnificent cityscape of our world-class attractions in their night-lights – Singapore Flyer, Marina Bay Sands, the Esplanade, of all others. The tour also offers another short stopover at Gardens by the Bay where you will find the magical Avatar-like Supertrees. When working out if you will have enough time from your flight landing to get to the registration booth, it’s worth noting that they are in the transit area – you will clear immigration as a tour group before you leave the airport. Click here to get all the information you need. There are eleven lounges across four terminals which you can access with Priority Pass, and so far I have been to the Plaza Premium and SATS Premier in Terminal 1. They both largely offer the same facilities, but overall I preferred the Plaza Premium despite the SATS lounge offering more for your money (alcohol and shower access are included in the entry fee there, but are extra at Plaza Premium). Plaza Premium was cleaner, the customer service was better, the food was much nicer and I could rent a private lockable bedroom to sleep in which made me feel so much better when heading to the next flight. I showered at both lounges, and the Plaza Premium bathrooms were considerably cleaner and had far better amenities. I paid an additional $40 AUD to have access to a private lockable bedroom and a private shower room, but it was absolutely worth it. 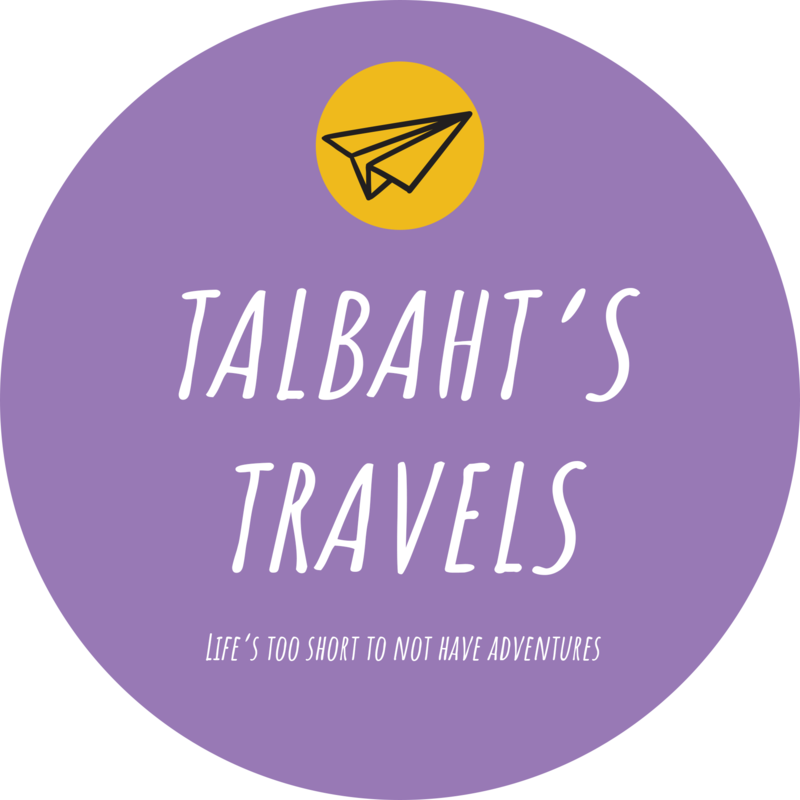 If you have any questions, want help with making the most of your airport time, or have a guest blog to pitch please email contact@talbahtstravels.com.